… La Cigale has a hit on its hands with this collection of Baroque instrumental music from Celtic countries. The tight ensemble playing, sensitivity to style and musical moods, and clear production values, showcase a range of performances from the witty to the danceable to thoughtful to florid. This is not one of those “let’s-see-how-these-folk-tunes-sound-on-our-quaint-early-music-instruments” recordings. 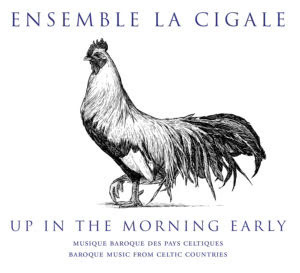 The literature from Scotland, Ireland, and Wales is taken … from published sources in the 18th and early 19th centuries and expertly played by Montreal-based Ensemble La Cigale on appropriate instruments. 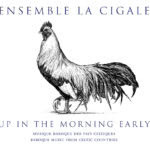 Ensemble La Cigale’s sophomore offering—their first album, Tiorba Obbligata, … was a Prix Opus finalist in 2012-13—shows sophistication in its simplicity. Each [piece] is a delightful gem: melody-driven with a refined affect. What stands out is the tightness of the ensemble, with all the musicians playing as one instrument…. Both musicianship and recording quality are professional, and the musicians show a commitment to authentic sound without sacrificing expressiveness. 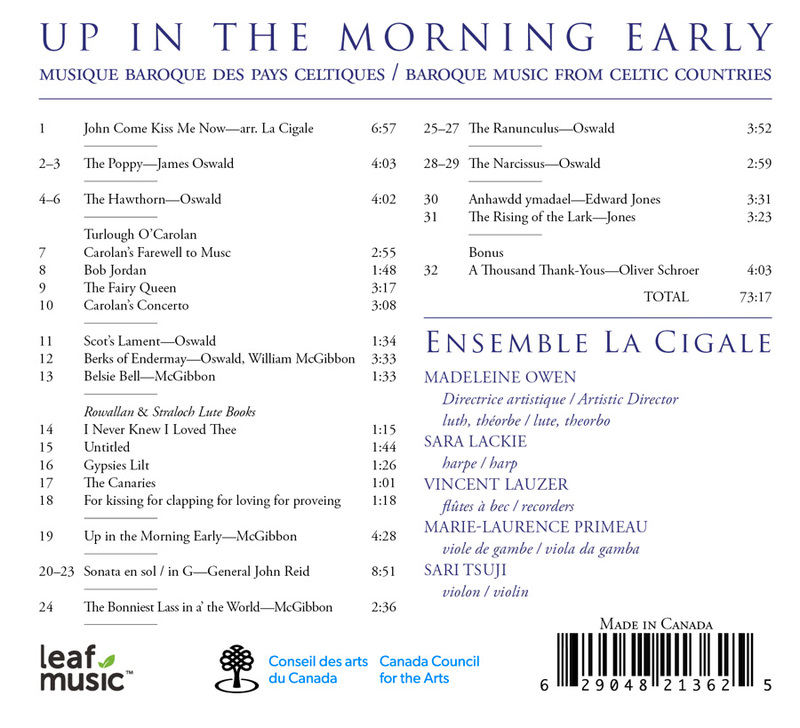 Recordings of these tunes are rare, and this album will be an essential part of any collection of early Celtic music. 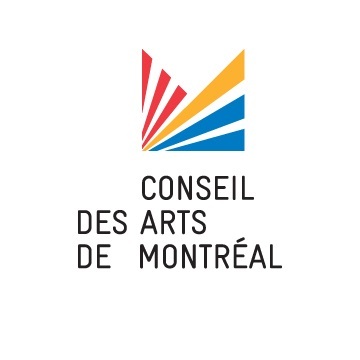 It is wonderful to see a Canadian group of this calibre contributing to this vast but largely untapped repertory of Scotland, Ireland and Wales. 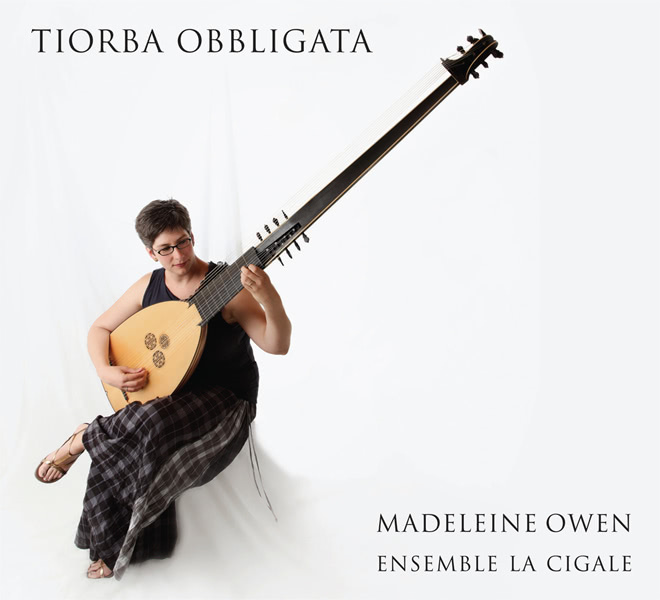 A well-developed programme, an instrumentation without harpsichord where the lute (or theorbo) and harp are used to maximum effect, an ensemble where we can feel a combination of hard work and complicity! Long live Scotland, Ireland … and Canada! 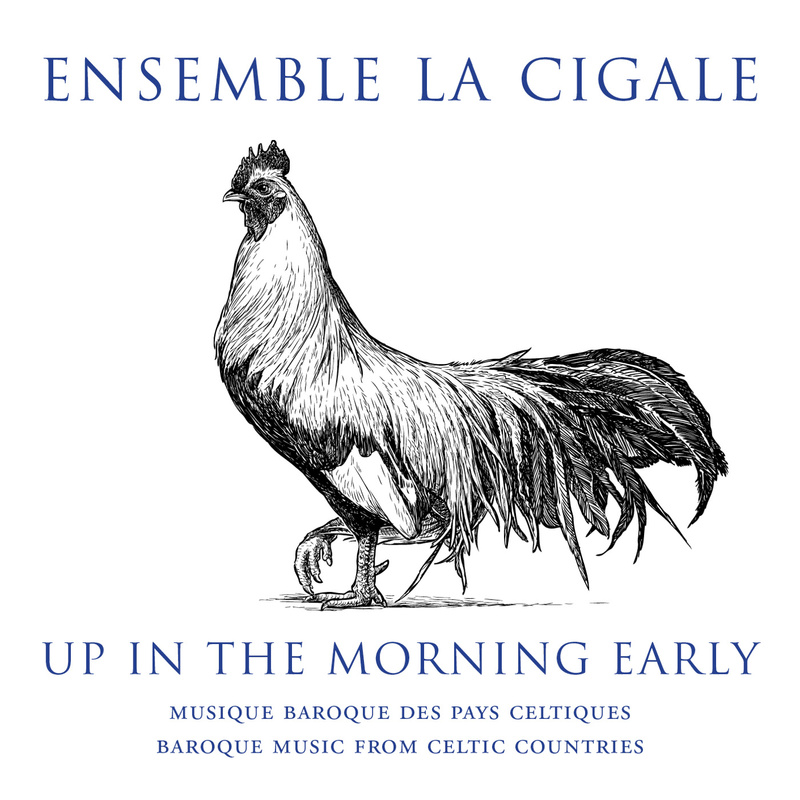 Superbly played by Ensemble La Cigale, these pieces are endearing and lively. The … instruments [are] as beautiful in their timbres as in their gracious execution. 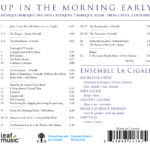 Up in the Morning Early can be purchased here through PayPal, or in digital format at iTunes.